Erika writes: "This is my little Joyful. She resembles either a really jazzed Pat Benatar or Rambo, or perhaps something in between. 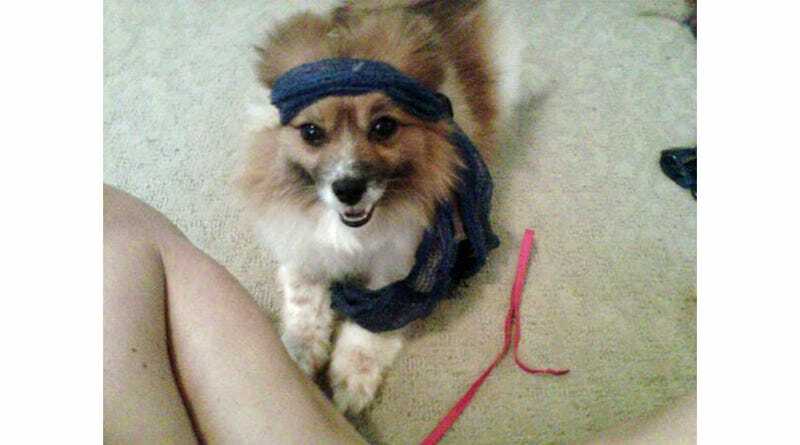 Either way, this little ham sandwich knows how to rock a head scarf." Love her style! Image via email.